Troparion (Tone 4): Today we believers radiantly celebrate,* flooded in light by your coming to us, O Mother of God;* beholding your pure image,* we say with contrition:* shelter us with your precious protection* and deliver us from every evil,* entreating Your Son, Christ our God, to save our souls. 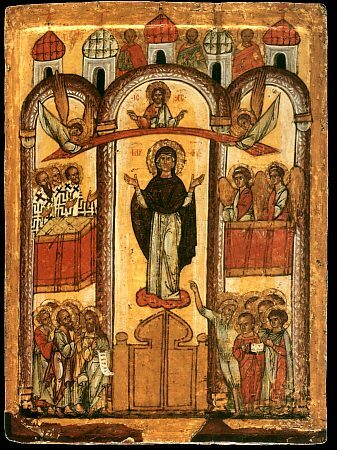 Kontakion (Tone 3): Today the Virgin stands before us in the church* and together with the choir of saints invisibly prays to God for us. 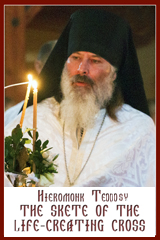 * Angels are worshiping with hierarchs,* Apostles exult with prophets,* for the Mother of God prays on our behalf to the eternal God. verse: Because He has regarded the humility of His handmaid; from this day forward all generations shall call me blessed (Lk 1:48). Epistle: (Heb 9:1-7): Brethren, now even the first covenant had regulations for worship and an earthly sanctuary. For a tent was constructed, the first one, in which were the lampstand, the table, and the bread of the Presence; this is called the Holy Place. Behind the second curtain was a tent called the Holy of Holies. In it stood the golden altar of incense and the ark of the covenant overlaid on all sides with gold, in which there were a golden urn holding the manna, and Aaron’s rod that budded, and the tablets of the covenant; above it were the cherubim of glory overshadowing the mercy-seat. Of these things we cannot speak now in detail. Such preparations having been made, the priests go continually into the first tent to carry out their ritual duties; but only the high priest goes into the second, and he but once a year, and not without taking the blood that he offers for himself and for the sins committed unintentionally by the people. 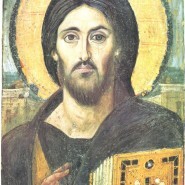 verse: The rich among the people shall entreat your countenance (Ps 44:13).